Latest obsession: graphic tanks and tees! So, ever since I posted the outfit featuring a graphic tank and chunky knit cardigan, I've kinda been obsessed with graphic shirts. They're versatile and they make great school outfits. Not too dressed up and not too dressed down. Over here, I'm wearing a diamond graphic tank from h&m. Below are more outfit co-ordinates that I've put together featuring graphic shirts. 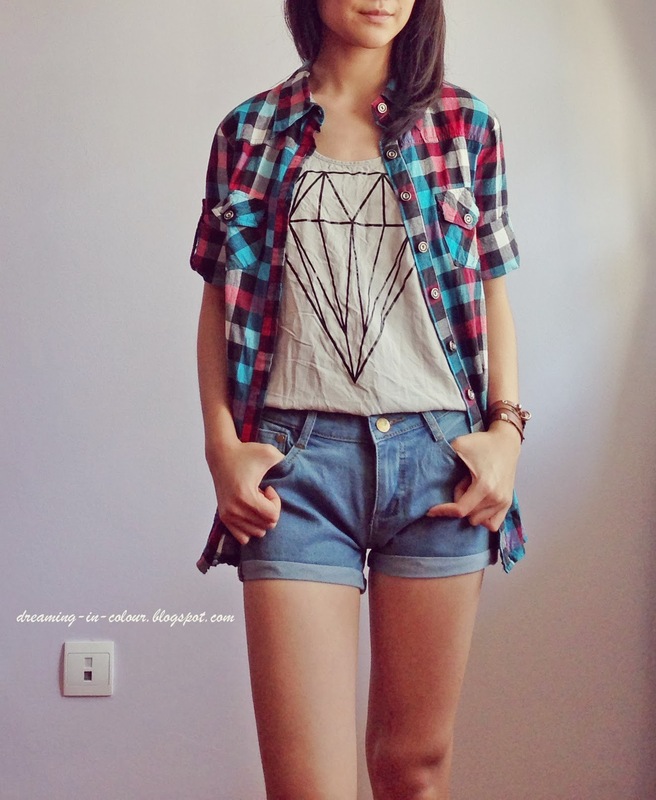 They all look great paired with some denim shorts and checkered shirt or cardigan. Throw on a few chunky bracelets to accessorise or go with none at all. For shoes, you can go with boots or sneakers. If you are going for a more casual look, match it with a casual bag or backpack as well. Otherwise, a satchel would never hurt the look. I'm thinking I could just wear these to school everyday.